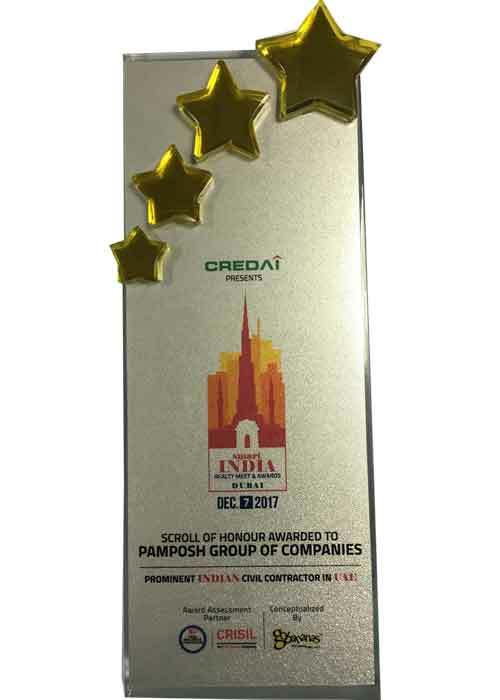 Established in 1982, Pamposh Group has carved a niche for itself in the construction business by successfully executing the Civil Construction works on Manpower Deployment Basis and Unit Rate Basis. We Multinational Construction Company, has been associated with construction of Federal Projects, Traditional Structures, Institutional Buildings, Commercial Centres, VRD/ External Development and many more. Supported by extensive knowledge and vast experience of founder members, our skilled workforce is committed to timely completion of every project undertaken without compromising on the issues related to quality, safety and environment. 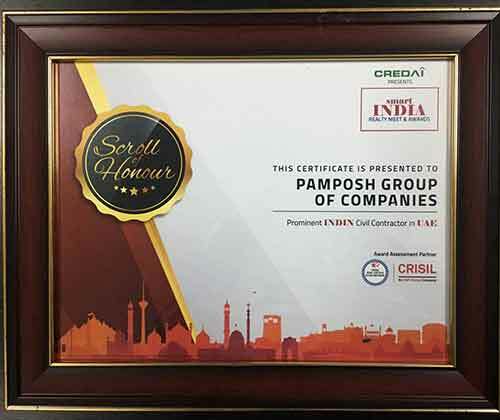 Pamposh is one of the construction company from India, to have gained expertise in managing the execution of large-scale construction projects overseas in association with multinational firms, right form mobilization stage to execution within specified time frame. 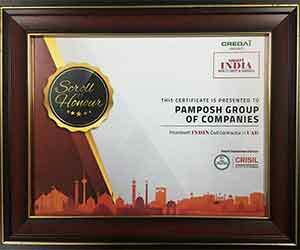 We have been a part of the Global Construction Scenario right from the inception of pamposh. Within the first decade of our foray, company achieved a remarkable growth focusing mainly on the Middle Eastern region viz, Iraq & Kuwait. In the second decade, we expanded our operational areas to the regions of erstwhile USSR, Russian Federation, Turkmenistan, Uzbekistan and Azerbaijan. We have been involved as a sub-contractor on Labor Rate Basis in some of the most prestigious projects of Turkmenistan, which include the Nissa Hotel, Congress center and Mosque etc, in associastion with companies of international repute. In the current i.e. forth decade of our existence, our area of operation expanded further to Kazakhstan, Bahrain and Cuba besidezs our ongoing works at UAE, Turkmenistan and Qatar. The successful execution of overseas projects has enabled us to create a reservoir of specialized workforce, proficient in execution of their respective job with perfection. 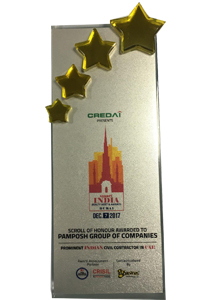 Pamposh endeavors to provide its National and International clients with world class services in the field of Civil Construction, and its allied fields viz. HVAC, Plumbing, Electrical etc. The services include recruiting, training, mobilizing and monitoring our own workforce, highly skilled in delivering quality workmanship and commitment to timely execution of projects. A Civil Engineer from I.I.T. Kharagpur, having 50 years of experience in Management and Execution of Civil Construction Works. An MBA (International Marketing) from Schiller International University, London, has 25 years of experience in the field of construction. A Civil Engineering Graduate from University of Bangalore and MBA from University of Connecticut USA, he has passed "CPA" Certified Public Accounts from USA. He has substantial experience of working with Price Water House Coopers, USA. Currently, he heads the Caribbean operations of Pamposh. Graduate in Civil Engineering from Birla Institute of Technology and Science, Pilani, Rajasthan. A technocrat of high caliber, he has over 33 years of experience in Tender Submission and Contract Formalization. He has comprehensive technical expertise in all types of Civil Engineering projects. Holds Masters Degree in Social Sciences and Labour Management. He has headed Pamposh Turkmenistan Operations from the year 1999. A Civil Engineering graduate, he has around 25 years of experience in Construction Industry both within India and Overseas. Currently, he is our Country Head Dubai (UAE) operations. 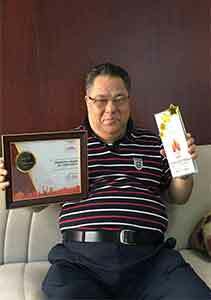 A Civil Engineer having more than 20 years of experience of construction & project management in India & abroad.He has successfully executed variuos projects in India,Gulf & Central Asia.Presently he is responsible for overall management of different projects. He has been associated with the company for more than 3 decades.He is responsible for Mobilization / Demobilization & overall welfare of the workers / staff. Taking Civil Sub-contracts and executing construction jobs on Labour Item Rate Basis. Developing, Maintaining and operating the infrastructure for construction activities and execution of main works. Sourcing and arranging the construction materials from India and Abroad. Providing and managing the construction personnel viz. Engineers, Managers, Foremen, Supervisors, Operators, Skilled and Semi Skilled workers etc. We are a group of four reputed construction companies and work in close coordination of each other to execute our construction services all over the world. Each company of our group comprises highly qualified and experienced professionals, who are capable of meeting the precise requirements of our clients very efficiently within stipulated time frame.